With the conversational AI design company BotSupply we developed this AI-Design Sprint Chatbot. Some chatbot agencies are getting bad briefs from clients that understandibly have limited knowledge about chatbots. Aligning with the client is often difficult. 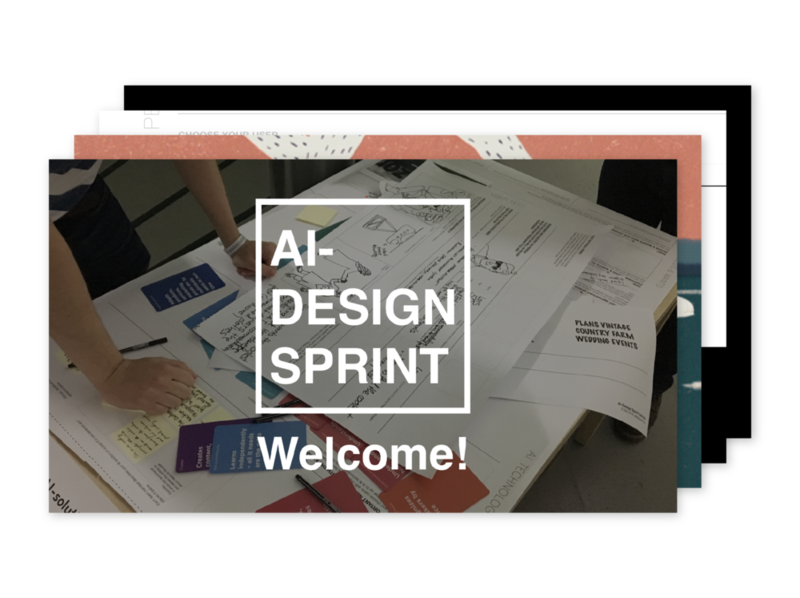 Use the AI-Design Sprint Chatbot to start off your project with the client – either with the goal to develop a new solution, or for gaining knowledge from your client. Or use it as a sales tool to get a chatbot project. It’s a half-day session in which you literally walk through the development steps of the chatbot together with your client. Technology knowledge is provided by technology cards. What you see is the last part of the canvas or work-sheet where you summarise the definition of your chatbot. You start at the bottom, at phase 1, and work your way up to end at phase 7. The development steps are outlined on the canvas, participants walk from one end of the canvas to the other end up having defined the functionality and personality of their chatbot. The card decks are used to match the user need with AI technology, and for defining the personality of the chatbot. The keynote presentation introduces AI and the AI-Card Deck, and explains each process step on the canvas together with providing a time for each step.